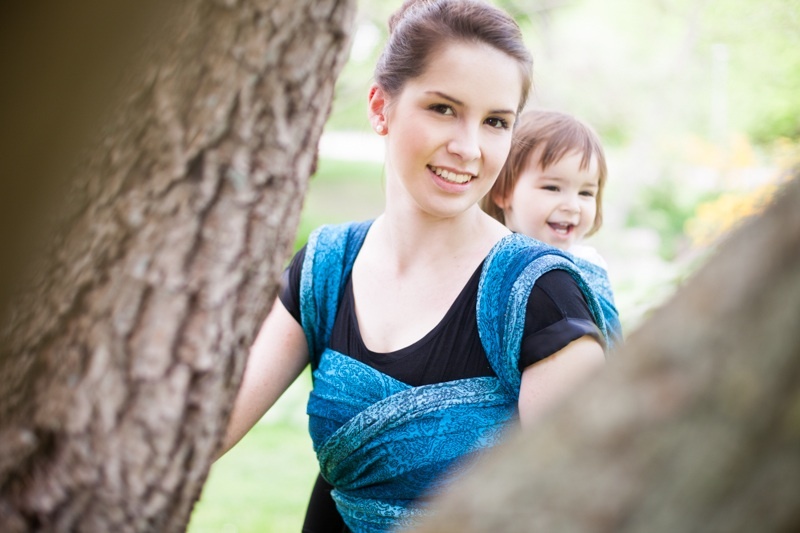 Beautiful woven wrap in delicious blue. Three stripes of blue lengthwise and a fourth darker blue color on the pattern. Fits all seasons. This wrap is made of 50 % bamboo and 50 % linen of best quality. The wraps are designed by Ellevill and produced in India.